Tissue specimen preparation. 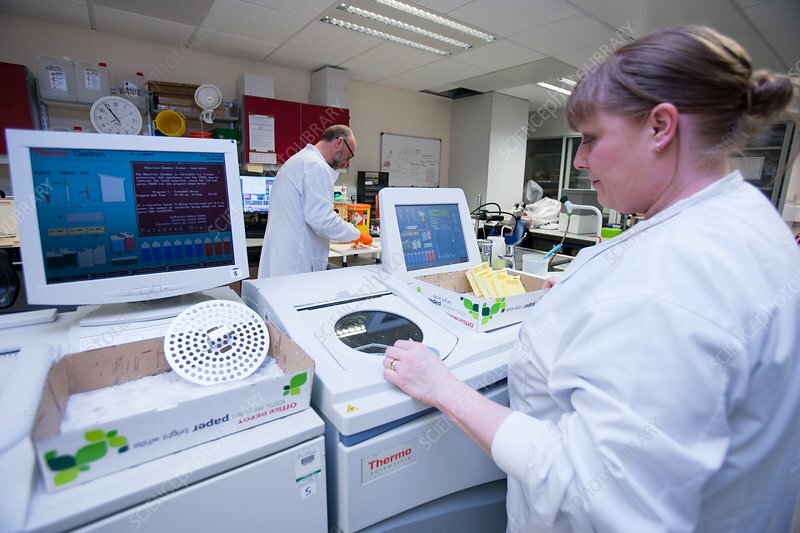 Forensic laboratory technician using a machine to clean tissue samples as part of the process of preparing them for inspection and analysis by a forensic pathologist. The post-mortem clinical specimens are dissected, encased in wax, sliced, mounted on glass slides, dyed, and examined under a microscope.